The Texas Supreme Court issued a narrow 5-4 opinion in Murphy Exploration & Production Co. — USA v. Adams on June 1, 2018, interpreting a common “offset” clause contained in a 2009 oil and gas lease. The majority held that the phrase “offset well” in that clause does not necessarily refer to a well that would protect the leasehold against drainage, but instead referred to a well drilled anywhere on the leased premises that was drilled to a depth required by the lease. The Court reached this conclusion based on interpreting that phrase in light of “surrounding circumstances” evidence of the discovery of the Eagle Ford and drainage patterns of horizontal shale wells. Four justices dissented in an opinion that, among other things, criticized the majority opinion for disregarding the commonly understood meaning of the phrase “offset well,” which is a well designed to protect the leasehold from drainage. It is hereby specifically agreed and stipulated that in the event a well is completed as a producer of oil and/or gas on land adjacent and contiguous to the leased premises, and within 467 feet of the premises covered by this lease, that Lessee herein is hereby obligated to…commence drilling operations on the leased acreage and thereafter continue the drilling of such off-set well or wells with due diligence to a depth adequate to test the same formation from which the well or wells are producing from on the adjacent acreage. When a well on a neighboring tract triggered this clause, Murphy drilled a well 1,800 feet from the lease line and 2,100 feet away from the triggering well. Murphy argued that this well satisfied the offset well requirement because it was drilled on the leased premises and to the same depth as the neighboring well. The lessor argued the well did not qualify as an offset well because it was not designed to protect against drainage. The majority concluded that this offset clause did not require the drilling of a well that would actually protect against drainage, but instead only required Murphy to drill a well that is (1) on the leased acreage and (2) to a depth adequate to test the same formation from which the triggering well is producing. 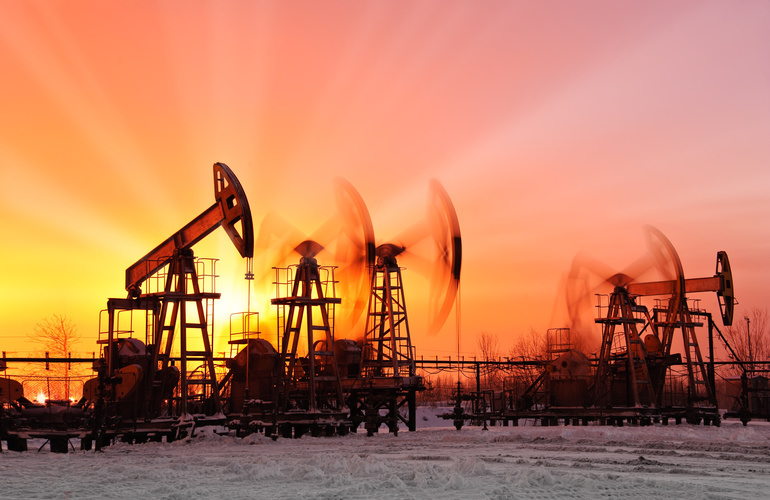 Importantly, the Court found that the offset obligation did not require that the offset well be drilled in any specific location or any specific distance from the leased premises. Essentially, the Court held that Murphy’s offset well could be anywhere on the leased premises, so long as it was drilled to the same zone as the well that triggered the offset clause. This is precisely what Murphy did and, as a result, the Court held that Murphy satisfied its obligation under this offset provision, as a matter of law. Four justices dissented in an opinion that complained that the majority was “explaining on behalf of Murphy” why the parties who negotiated leases (which did not include Murphy) could not have intended for the phrase “offset well” to retain its traditional meaning. The dissent concluded that the phrase “offset well” required Murphy to drill its offset well at a location where a reasonably prudent operator would drill a well to protect the leasehold from actual or potential drainage, whether or not any was occurring. All parties agreed that this offset clause could be triggered regardless of whether there was actual drainage, thereby distinguishing this clause from the implied covenant to protect from drainage. The dissent complained that the Court’s holding effectively stripped the lessors of any leasehold protections that the offset clause could have been designed to protect and that the word “offset,” as used in the lease, would have no meaning. It is yet to be seen whether, and to what extent the Court’s willingness to interpret leases through the lens of unconventional drilling will have on other lease provisions, and the role, if any, of expert engineering testimony in shaping what is seen through that lens. The attorneys at McGinnis Lochridge are available to discuss how the Murphy case may impact your current or future offset obligations. Companies examining their offset obligations or negotiating new leases should pay close attention to the Murphy case as it will likely guide Texas courts in the interpretation of offset obligation clauses going forward, at least in regard to modern leases (executed in 2009 or later) covering minerals in unconventional shale plays. However, the sharp dissent in this case is likely to motivate challenges to the presumed “intent” of the parties by lessors seeking to get around the result in Murphy. Austin represents oil and gas exploration and production companies and landowners in a wide variety of complex commercial litigation matters, including contract and property disputes, royalty disputes, breach of lease cases, lease termination/perpetuation disputes, and an array of other issues in the upstream oil and gas sector. Austin has prosecuted and defended claims in state courts and federal courts. Austin strives to find practical business solutions to complex issues, but if necessary, he works hard to implement effective strategies in the courthouse. Chris represents clients in a wide variety of litigation matters. 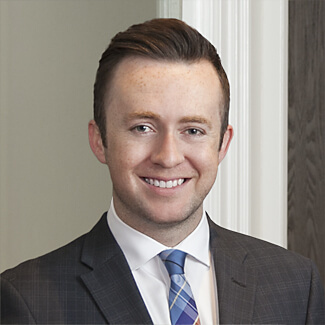 Chris strives to identify an aggressive, yet practical approach to accomplish his clients' needs, taking into account the particular legal and business issues presented. With horizontal drilling transforming the energy landscape across Texas, Chris developed an emphasis on oil and gas related matters. He has represented operators, non-operators, and landowners in a variety of disputes ranging from seismic misappropriation, leasing issues, royalty disputes, title litigation, lease termination, midstream accounting, and other related contractual disputes. 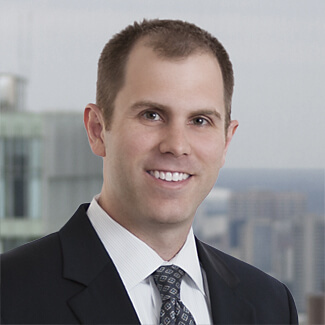 Chris has been selected to the Texas Super Lawyers Rising Stars list, a Thomson Reuters service, (2014-2015). © Copyright 2012-2018, McGinnis Lochridge LLP. All Rights Reserved. DISCLAIMER: The information in this article is for general information purposes only. This article should not be substituted for legal advice and should not be taken as legal advice for any individual case or situation. This information is not intended to create, and receipt or reading this article does not constitute, an attorney-client relationship. You are encouraged to contact an attorney for legal advice concerning the information provided in this article. ARE YOU KEEPING UP TO DATE? We keep clients and subscribers updated on case law alerts and insightful articles. Join more than 2,000+ in-house attorneys and landmen who receive our occasional alerts and summaries. All for free! Note: When choosing facebook or google, alerts will be sent to the email listed in that account.